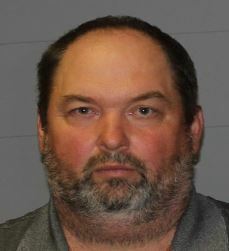 If stealing from a cemetery weren’t bad karma enough, a Pawling man was also sentenced last Friday to state prison time for his embezzlement of Raymond Hill Cemetery in Carmel. Previously convicted in a jury trial of grand larceny in the 2nd degree, grand larceny in the 3rd degree, criminal possession of a forced instrument in the 2nd degree and two counts of falsifying business records in the 1st degree, Robert Bauer will now face 1 1/2 to 4 1/2 years in prison and must pay restitution in the amount of $195,850.50, according to the Putnam County District Attorney’s Office. During his trial, the Putnam DA’s office proved that Bauer submitted invoices and had been reimbursed for more than $160,000 of work he never performed and materials he never purchased. His theft of Raymond Hill Cemetery revealed a larger scheme undertaken by Bauer. It was discovered that he stole from Ballard Barrett Cemetery, Union Valley Cemetery, Putnam County Monuments and Bulldog Concrete. Three of the thefts occurred the same time he was stealing from Raymond Hill, with the fourth theft occurring — incredibly — the weekend before his trial was going to begin, according to the DA’s office. He ended up pleading guilty to three additional charges of grand larceny in the 3rd degree and one count of grand larceny in the 4th degree on Oct. 19, 2018.